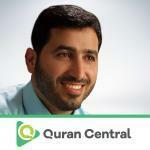 Yahya Hawwa is born in Syria in 1976, Yahya Hawwa was brought up in Makkah where he was drawn to the beautiful art of Qur’an recitation and mastered it efficiently. Fate took him to the land of Jordan where he graduated in Sharia, Islamic Jurisprudence at the University of Zarqa and topped it with a postgraduate degree in Psychology. He was also simultaneously lending his services as an Imam in Katouli mosque in Oman. He has to his credit numerous albums in his amazing psalmody chief among which are “Your Paradises”, “People’s Hearts”, “Be With Me” and “Optimistic”.